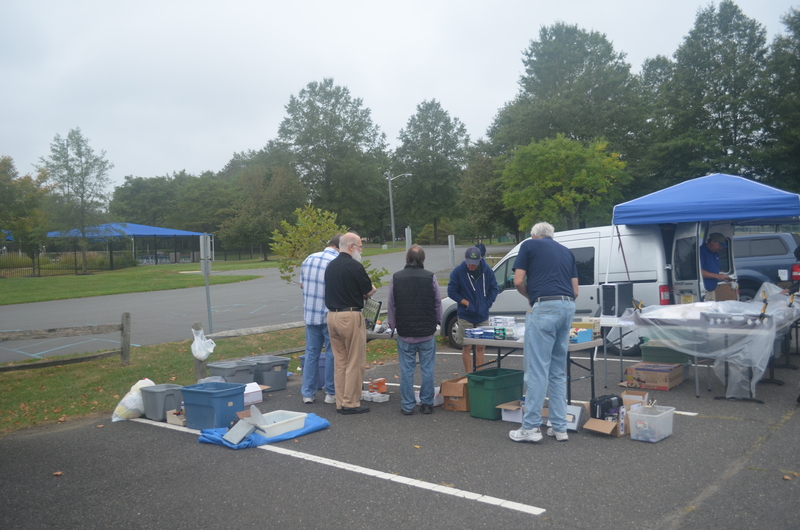 The DVRA Hamfest was held at the West Windsor Community Park. 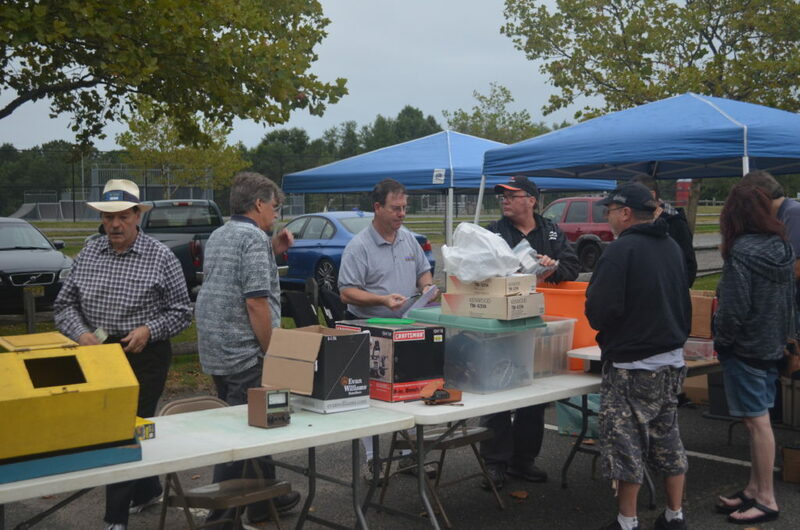 The DVRA Club Table was a beehive of activity, with the contents of a SK’s shack and surplus from the DVRA Shack on sale. Meters, transceivers, a repeater, HTs, cable, computers, hardware, tools, antennas and much more were on sale. Everyone had a good time meeting with old friends and making new friends. 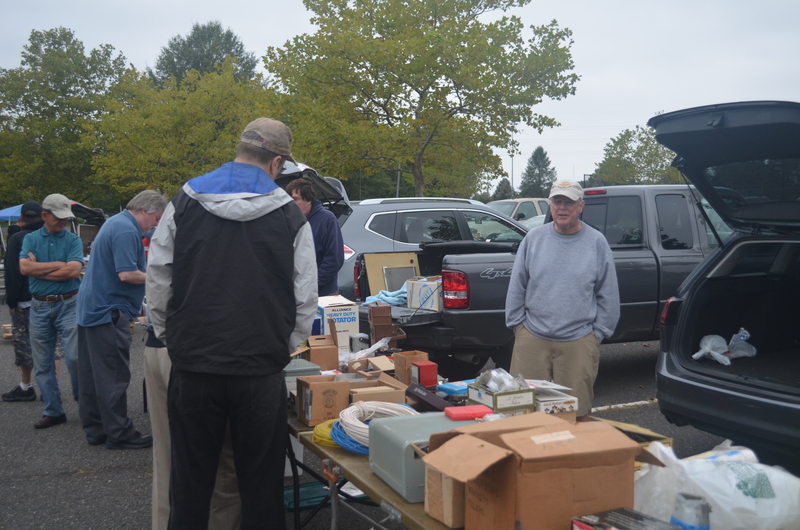 The DVRA would like to thank all of the buyers and sellers for attending this years Hamfest . A special thanks goes to Mark KC2MTGM and Pattie for providing delicious muffins and hot coffee. We thank Rory’s NJ3U wife Allison for storing a ton of radios and equipment in the family garage so it could be sold at the DVRA Hamfest. 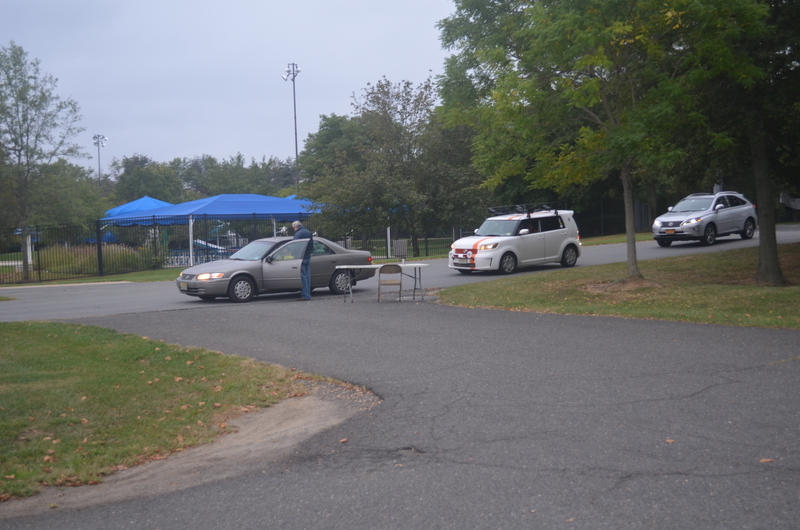 Special praise to all of the DVRA Hams who helped set up, run and take down the Hamfest. We are working to make the 2017 DVRA Hamfest bigger and better.